In this guide, we’ll go over the top 7 coworking spaces in Miami, including each organization’s pricing model, coworking locations, and more. WeWork is perhaps the fastest-growing coworking network in existence today. Their competitive prices, beautiful office spaces, and generous amenities make them our top choice for coworking in Miami. 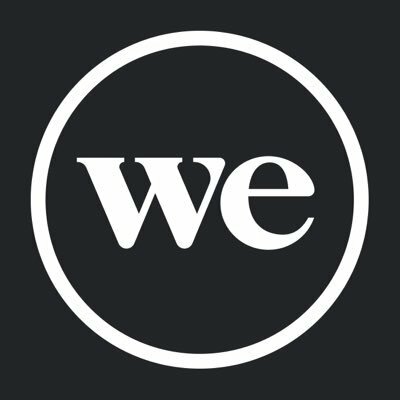 At WeWork’s five Miami locations, you’ll find amenities like high-speed internet, IT support, cleaning services, 24/7 building access, office supplies, craft beer on draft, bike storage, business-class printers, micro-roasted coffee, mail and package handling, and phone booths. WeWork’s pricing is divided into three categories: hot desks, dedicated desks and private offices. Below is the price range for each (depending on location). MiamiShared - Starts at $95/mo. Nestled in the heart of downtown Miami, MiamiShared offers a comfortable coworking experience at an affordable price. Customers love the location, the atmosphere, and the extremely friendly and attentive staff. MiamiShared’s flexible membership options make it accessible for individuals and small businesses alike. At MiamiShared, you’ll find high-speed WiFi, a conference room equipped with video conferencing, high-security internal offices, lockable cabinets, a mailing address, a welcoming receptionist for your clients, access to networking events and workshops, and special discounts at nearby restaurants. MADE at the Citadel - Starts at $50/mo. MADE is a fun and unique coworking space in vibrant and historic Little Haiti. MADE hosts live performances, entrepreneurship panels, figure drawing classes, sewing classes, and more. Their Nomad membership (which includes 24/7 access to all shared work areas) is the most affordable unlimited coworking option on this entire list. All members at MADE can enjoy 24/7 secure building access, high-speed WiFi, conference rooms, coffee, tea, and beer, printing services, workshops, a photo studio, and an outdoor patio. Büro - Starts at $249/mo. With six locations in the Miami area, Büro provides a wide range of work environments for their customers. In addition to Büro’s helpful staff and amenities, members love the monthly networking events. Büro offers high-speed internet, upscale furnishings, conference rooms and social spaces, artisan coffee and tea, dedicated mailboxes and storage, and color printing, copying, and scanning. Büro members also benefit from exclusive partnerships with local restaurants, hotels, health clubs, shops and other service providers. The LAB Miami - Starts at $150/mo. Located in the lively Wynwood Arts District, The LAB is Miami’s original coworking space. It offers an open and diverse work environment in a 10,000 square foot converted warehouse. With freelancers, entrepreneurs, nonprofits, and corporations all using this space, the LAB brings together some of Miami’s most talented and innovative minds under one roof. The LAB offers 24/7 building access, fully-furnished private meeting rooms, a dedicated mailbox and business address, access to exclusive events, gated parking, printing services, and secure high-speed WiFi. Plus, it’s dog-friendly! Pipeline - Starts at $99/mo. Pipeline has two locations in the Miami area: one in Coral Gables, a premier international business hub, and the other in Brickell, a bustling financial district. Pipeline offers competitive pricing and high-design workspaces for a diverse community of entrepreneurs, startups, independent professionals and small business teams. No matter which membership option you choose, you’ll be able to enjoy 24/7 access, high-speed internet, ergonomic chairs, organic coffee and specialty tea, receptionist services, a business center, and conference rooms. TamboWorks - Starts at $275/mo. Conveniently located in South Miami, TamboWorks provides an excellent coworking atmosphere, beautiful outdoor space for gathering, and a high-quality professional staff. Amenities at TamboWorks include 24/7 access, high-speed internet, company signage, mail services, daily cleaning, and conference room access. Whether you work in graphic design, software development, or any other field that calls for a remote workspace, we trust that WeWork will have an office in Miami that suits your needs. That said, if you’re looking for the least expensive coworking space possible, or perhaps an office in a specific part of town, there are many other worthwhile options on this list. We encourage you to compare prices, locations, amenities and other important factors before deciding which coworking space is right for you.